Cherishables offers the 11x14 Photo Panel for $31 via coupon code "31PANEL15". Newegg offers the Roku 3 Streaming Media Player for $62.95. Features: Ethernet, 802.11n dual-band wireless, a microSD card slot, USB, motion-sensing remote control with headphone jack, and HDMI. 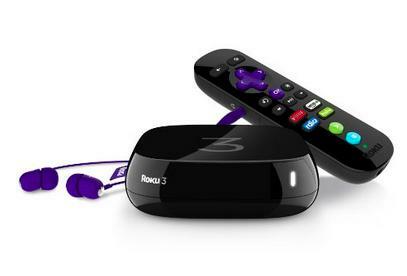 Amazon offers the Roku 3 Streaming Media Player for $76.99. Today only(2/3), NewEgg Flash offers the Refurbished Roku 3 1080p Wireless Streaming Media Player 4200XB for $67.95.